Metered billing for automatic billing of utilities. ABS Metered Billing for accurate billing of water, sewer, gas and electricity. 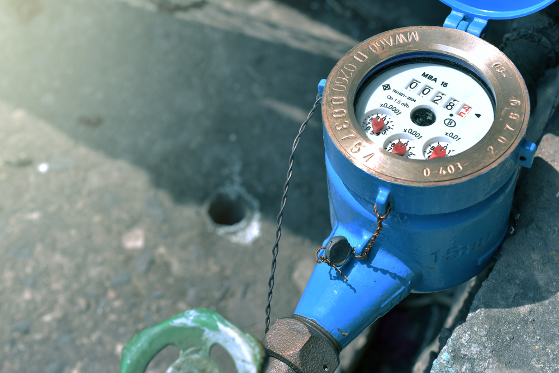 ABS Utility Billing provides you with a powerful, easy-to-use tool to manage your metered water, sewer, gas and electric services. ABS Utility Billing is Flexible Enough to Handle All Metered Billing Requirements. ABS Metered Billing includes metered billing of water, gas and electricity. This system is both flexible and powerful, so you can quickly bill the most complex setups at the touch of a button. Billing for consumption, flat rates, miscellaneous charges and based on other services (like sewer based on water consumption). Billing performed using electronic meter reading sheets. All sheets are stored for future reference and reports. Allows billing of unlimited number of user-defined, tiered rates. Billing codes support multiple tax rates. Meter sheets can be automatically checked for errors. The meters are then flagged for correction. Smoothly handles rate changes, including prorating for changes within a billing cycle. Meter Sheets can be organized in route sequence order for walking or in numeric order. Allows the easy addition of rates and services to respond to management requirements. Meter change-out wizard handles replacement of meters mid-cycle: usages added together for billing. Bills single or multiple cycles at one time. Supports recurring, automatic, estimated and seasonal billing. 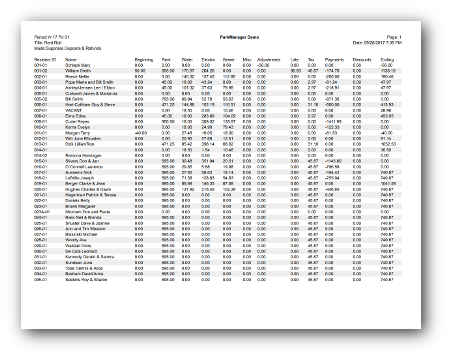 Usage reports for routes, zones and for leak detection and reporting. Exports all the usage reports to Excel. The flexible structure lets you bill everything from a simple single route, sight-read system to a complex multi-route radio read system. Fully automatic billing for an entire route, in a matter of minutes, using meter readings supplied by a hand-held device. The system is capable of billing for multiple meters per account, compound meters, deduct meters and master/slave meters. Semi-automatic billing by manually entering current readings to quickly calculate the entire route. Prorate billing charges automatically for easily handling of mid-month move-ins and move-outs. To play the video, click on the arrow in the lower left corner. Make sure your sound is working. Enlarge the video by clicking on the square in the lower right. Press Escape when done. Bill individual or groups of meters at any time during the billing cycle. Meter rollover detection and usage calculation is fully automatic. The Meter Sheet is filled out as the current readings are entered into the Tablet, making billing faster and more accurate. Meter readings are entered easily with large keys on the well-lit display. The protective case makes it easy to handle. The Meter Reader Tablet works with either your office internet WiFi or an AT&T cellular data plan (recommended). All types of water, gas and electric meters can be read. Meter readings are listed in numeric or read sequence order. Enter readings directly onto the Meter Sheets from the field for one-button billing, using the Tablet with the recommended data plan. Meter readings can be checked and edited in the field to adjust for roll-overs, exceptional usage, and missing readings. 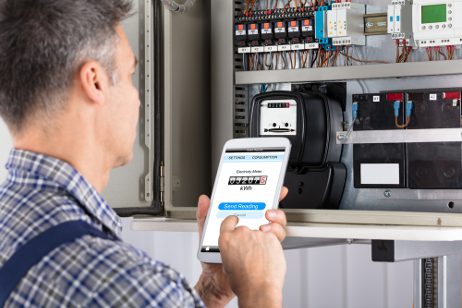 As meters are read, Meter Notes can be added from the field using the Tablet with an AT&T data plan. The Meter Reader Tablet includes a shockproof, water resistant case and 2 year hardware protection plan. Battery life is about 12 hours of continuous usage and 13 days of standby time. Metered Billing imports automatic readings from most meter reading systems. Metered Billing interfaces with industry-standard meter reading systems using sight-read, touch-read or radio-read technologies. Using a few simple steps, a list of meters and previous readings are transferred from Utility Billing to the meter reading units. The current readings are taken, and transferred into Utility Billing for automatic billing. Handles billing for sight-read meters, touch read meters and radio read meters in any combination and in any sequence. Depending on the device, you can have notes in the field, alerts for readings out of range, previous usage, meter serial numbers, etc. A complete set of usage reports are included in Metered Billing. audit support and regulatory compliance. Usage reports by customer include 12-month usage reports for spotting trends. Customer detail reports show meter readings and usages for any time frame. Flexible usage reports show information such as exceptional readings, leak reports and zone reports to isolate usage patterns for any time period. Usage reports by type of service and billing unit assist in pricing studies and cost recovery. All meter and usage history is retained so all usage reports can be displayed for previous years. Meter Sheets include sequence reports, flag reports for over-under usage and skipped reads. All usage reports, with full formatting, can be exported to Excel with a single click.